Despite its claim to be a socially responsible company, Etsy is taking advantage of secretive tax-haven laws in Ireland. Etsy, the popular online marketplace for handmade goods, claims to be a company that promotes “global business practices that are sustainable, responsible, and profitable.” At the same time, the company is taking advantage of secretive tax-haven laws in Ireland that allow it to dodge paying its fair share of taxes. Etsy recently registered a subsidiary in Ireland as an unlimited liability company. This means that it no longer has to disclose basic financial information about the profits of and taxes paid by that subsidiary, allowing it to conceal the shifting of profits into Ireland—a tax haven—from its global sales operations. 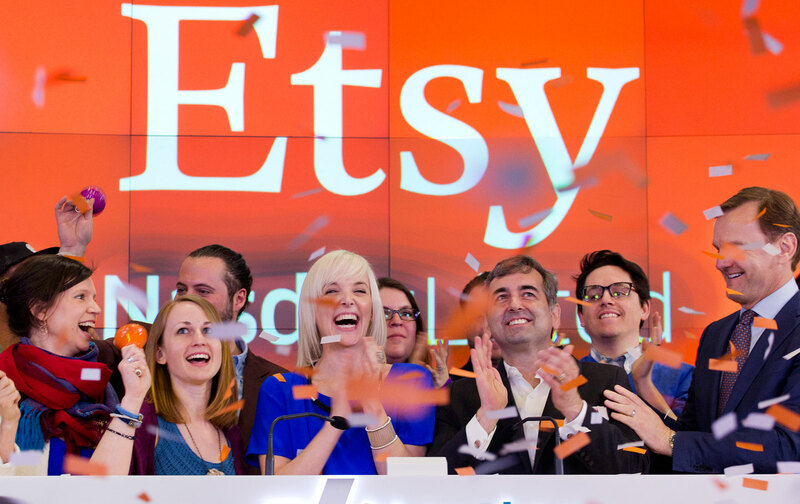 While Etsy brands itself as a socially responsible company, this move adds it to the list of hugely profitable corporations—such as Google, Apple, and Microsoft—that use offshore tax havens to lower the amount they pay in taxes. Collectively, these companies cheat the United States out of an estimated $90 billion in tax revenue every year. The Nation recently joined with Campaign for America’s Future, Americans for Tax Fairness, the AFL-CIO, and a host of other organizations in calling on Etsy to pay its fair share. Take a minute to sign our petition. Etsy is certainly not alone in seeking to avoid taxes. Last year, Katrina vanden Heuvel wrote about the billions of dollars lost when companies find ways around paying their taxes, citing a study that found that of the 100 best-paid CEOs in the United States, 29 of them received more in compensation than their companies paid in federal income tax. And earlier this year, Michelle Chen looked into a federal investigation that found that Walmart hid $76 billion in overseas tax havens.